Turn it into a Blowtorch | Turn it Into a Blowtorch! This is not like any other book you have ever read. If you open yourself to the message of this book, it will challenge your way of thinking and of living. As you turn its pages, you will come face to face with yourself, and then you will come face to face with the Person of Jesus Christ in an intimate personal dialogue. Blowtorch chronicles the journey of a soul. It is a glimpse into a life of struggle so severe that most of us can only imagine its depth of pain. The author does not dwell there, however. While referencing some of those struggles to give the reader some context, David focuses on the Love and Mercy of our ever-present God who walks with him through each tragedy, through each moment of his personal crucifixion. David is not looking for pity; he is looking to enlighten us all to the Love of the Father, the care of Jesus, and the power of the Holy Spirit. you will read. Yet it is a journey of hope. David took this journey, and now he is able to say, “God is real. God is Love. He cares for each of us with a depth of mercy and compassion that is so powerful that once you encounter it, once you embrace it, your life will be changed forever.” David opens his own life so that we may examine our own. It is God who is speaking through him. As Rick Warren, author of The Purpose Driven Life, says, we are always either just coming out of a problem or getting ready to enter one. If you want the best possible preparation for the next problem or crisis in your life, then I highly recommend Blowtorch. It reveals the Love of God in ways you have likely never imagined. If this world with all of its distractions and entertainments leaves you empty, leaves your heart hurting for something and Someone authentic, join David in this journey. Is there a reader who cannot relate to this emptiness? Is there anyone for whom this search is foreign? It is God Himself who created this emptiness and is waiting to fill it. Will you seek Him? Will you invite Him to fill you with His joyful Presence? He is waiting. God wants to share His Love with you in such a powerful way that it will burn away all of the fear, loneliness, despair, and false gods that you cling to. It is a revolutionary book, if you open your heart to it. It can be the most important book you have ever read, if you respond to its message. Blowtorch is also a journey of the heart. It is in our own hearts that God awaits. He is calling us in a way that is, perhaps, unique in history because these are unique times. 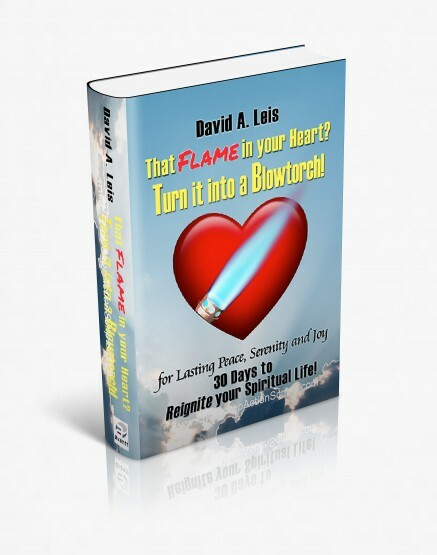 If you want to know God in ways that you have never experienced, Blowtorch will guide you to Him. And what you will find is that God desires a heart-to-heart dialogue with us. 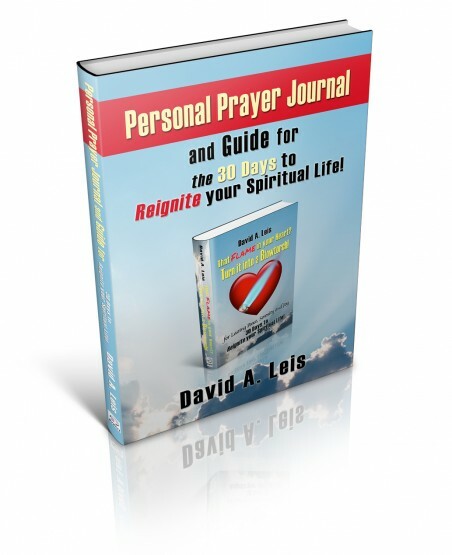 As you join David, let him be your guide to this heart journey with God. That is the journey that forms the basis of Blowtorch. In that heart-to heart dialogue, you will discover that God desires unity with you, personally. He wants a new and deeper relationship with you. He wants to help you to carry your burdens, to fulfill the desires of your heart, to lead you in ways that you have never gone before. All you need is openness to God’s Love and Mercy, to heed the call to meet Him in the depths of your heart, and to allow His healing and compassionate Love to lift you to heights that you have never experienced before. Will you say yes to Him? What stands between you and unity with God? What is more important in your life than a relationship with the One who created you and who sustains you? It is the Triune God, perfect in communion, who is calling you to unity. How can you turn your back on Him? How can you refuse this gift of gifts that will revolutionize your life? Don’t hesitate, don’t turn away. It is God who loves you in this moment into a new relationship with Him. Open yourself up to His Love in ways you have never experienced before. This encounter with God is an adventure that will change you forever. “Stay with Me.” This is God’s call. This is the call that Dave responded to and the call that he shares with us in this moving and affecting account of thirty days of heart dialogues with our loving Lord. At the end of each day’s reflection, Dave has provided questions that are designed to help you to reflect deeply on the messages God is communicating. Spend time in prayer and reflection on each one; answer each as honestly and openly as you can – and you will allow God to reveal His Love for you in a new and vibrant way. The Creator of the universe and of your own special uniqueness wants to convey His Love to you; are you ready to listen? The Church is the instrument God has chosen to communicate His Love and Truth to the world. Every diocese and parish has the responsibility to be true to His teachings and, through their best efforts, to draw all parishioners to Him. Blowtorch provides an effective instrument to assist in this call. In addition to the “reflections of the heart,” the reflection questions can be used for personal growth and – in the right setting – for sharing with others. God calls us individually and communally; this text assists us in this journey of responding to His Love. I am convinced that any parish or diocese that used Blowtorch for a facilitated program of renewal with only a fraction of its members would see the spiritual lives of its participants reignited and the flame of God’s Love burn like a blowtorch as it renews them! This book can change your life and the lives of your loved ones. Once you have opened yourself to the Love of God, you will be better able to share that Love with your family, your friends, your coworkers, and all whom you meet. While this book is for everyone, I especially recommend it for parents. As a parent, I know the tremendous responsibility that God has given to steward His children to holiness. At the end of my life, the measure of my effectiveness as a parent will not be reflected in the material goods I provided my children; it will be reflected in the effort I expended to communicate God’s Love to them. If every parent, every couple, read Blowtorch and opened their hearts to what God wants of them, it would profoundly change the nature of their relationship and the way they parent. God’s timing is always perfect. He has perfectly timed this moment in which you are holding this book in your hands. Now is the time to turn to Him and to allow Him to heal you more deeply, accept His Love for you more completely, and walk with Him more confidently. You are not alone in this journey. If you allow Him, God will fan the flame of love in your heart into a blowtorch that will consume all your fears, doubts, and sin – and lead you to a more perfect union with the One who loves you more than you can possibly imagine. This book has been brought to your attention because God wants your attention. If you read it and take its inspiration to heart, you will find yourself on the most exciting journey of your life. How can it not be so, if God wills it?